How did you first get interested in astronomy? I don’t remember a time when I wasn’t interested in the stars and space. I have always gravitated towards television programmes and books about space, and it has always been part of my life. What is the most amazing thing you have ever seen in the night sky? The first time you see the rings of Saturn through a telescope, it is the most magical moment you can imagine. It is so beautiful and it is right there in front of your eyes. Almost everyone who does this instinctively looks up from the telescope and past the tube at this little point of light in the sky and thinks, “Wow, that really is it!” Then they look back through the telescope and see the rings again, and maybe a bit of cloud structure. It is just such a beautiful thing. Some people are put off astronomy because it all seems too difficult to understand. How do you go about making it interesting for the general public? There is an institutional problem with this concept of astronomy being difficult. So I just go for the wonder of it. The things in the night sky – the celestial objects – are beautiful. You can appreciate them simply on that level. If you are surfing the web and you go to the Hubble Space Telescope website or the European Southern Observatory website and look through the various nebulae, the gas clouds and the galaxies, you can just view them as natural works of art. Another way to engage the public is to tell the stories of the astronomers and the scientists behind those discoveries. They are often people of great passion and great drive and people can relate to that. Nearly all fiction is about people who are driven to do things, so why not astronomers as well? That is something that you very much do with your books, telling the human story behind the scientists, and it is also a theme of your five book choices here. 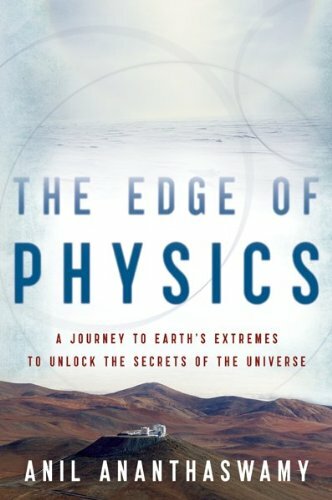 Anil Ananthaswamy’s The Edge of Physics takes us to some of the research centres where the big questions in astronomy are being explored. I worked with Anil at New Scientist when he was an editor there and I was writing for him, and we have remained friends ever since. But I haven’t just chosen the book because we are friends! When I read his book I was struck by how he is like a pilgrim on a journey. He is a man who is searching for understanding and his place in the universe and he does this by travelling to these observatories and these great scientific establishments and trying to understand the drive and the reason for looking into the universe and also trying to understand the universe. Where did he go on his quest? 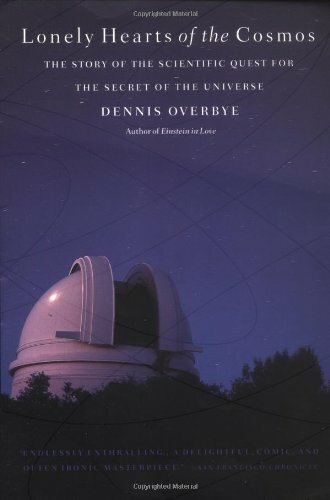 He went all over the world and one of the most interesting places he went to is the place on the front cover of the book, which is the European Southern Observatory’s rather uninspiringly named Very Large Telescope! The observatory is at Mount Paranal in the Atacama Desert in the north of Chile. The desert has some of the best conditions for stargazing in the world because it is so dry. Yes exactly – water vapour is very unhelpful when looking into the atmosphere, so the drier conditions are the better it is. And it is very high as well so they are above quite a lot of the atmosphere. This observatory is on a really remote site, touching the sky. Anil went there and he describes his conversation with the gardener. Built into the side of the mountain is the residencia for the astronomers and the workers. Once you are at the observatory there is no commuting. Scientists typically have one week on and one week off. In the residencia, which is a hotel built into the side of the mountain, you need water. There is no water elsewhere. You need a tank of water that will humidify the place, so why not make that into a swimming pool and also plant around it a big tropical atrium. So when you walk down the long path into the mountain you come across a lush underground jungle, which is an extraordinary sight. When Anil spoke to the gardener he discovered that the man felt he was contributing to this great effort towards understanding the universe. 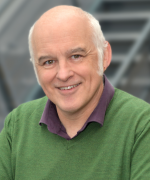 How – by keeping the scientists happy? Yes, because this was the only way he could help. He knew plants and gardening and yet he could still take part in this adventure of trying to understand the universe and have access to these people. And I think that is a key message for anyone who is interested in astronomy. It doesn’t matter if you are not a mathematician or if there are some concepts or distances you just can’t wrap your head around. No one really can wrap their head around the distances – they just have to accept them. So at some level just let the wonder of it all wash over you and that will help you become comfortable with these ideas of planets and stars and then it becomes a part of you. What is one of the big questions that scientists at these observatories are looking into? Every great advance in our understanding of the universe has come about because we have seen movements in the universe that we can’t explain. And trying to find the forces or the reasons for those movements has produced great advances. The first one was Galileo and whether the earth moves around the sun. At the moment we are still seeing strange movements that we are trying to make sense of. All the galaxies in the universe seem to be rotating more quickly than we understand. It is not just one or two, it is pretty much all of them, so there is something else there. Is it vast reservoirs of matter that we can’t see that are contributing to the gravity of these objects or is it a misunderstanding of the ways that the laws of gravity works? That is one of the key focus points for astronomy at the moment. 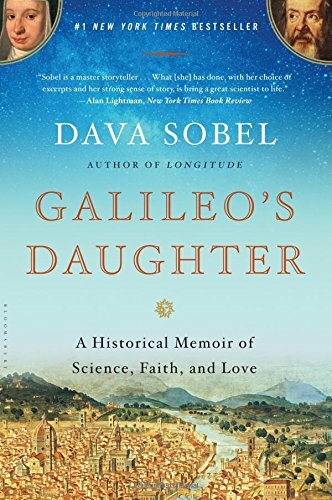 You mentioned Galileo, which leads on to your next choice, Galileo’s Daughter by Dava Sobel. This book is more about Galileo’s relationship with his daughter, so what did it show you about astronomy? What I think Dava did utterly brilliantly was ostensibly to write a book about Galileo’s relationship with his daughter but actually to reveal a lot about Galileo and science along the way. This story doesn’t show the greatest side of Galileo because Galileo put his two daughters into a convent, essentially because he couldn’t find husbands for them. And the reason he couldn’t find husbands for them was because he was a fairly poor astronomer, with expectations of grandeur, if you like, and he couldn’t raise a dowry sufficient to attract the kind of men he thought his daughters should be married to, which would lead to the correct social standing for his family. But, to be fair to him, that was a fairly typical thing to do in those days – send your daughters off to the convent if you couldn’t marry them off – and from the letters he does seem to have got on with at least one of them. Yes, they had an extraordinary relationship. In many ways I think it was the closest relationship he ever had with a female. Eventually they were living very close to one another and he would go and see her. I think what Dava did so brilliantly was show how, in his correspondence, they talked about his astronomy. They talked about his work and the trouble he was getting into with the church. The science does come through but in the most beautifully understated way. What particular problem was he having with the church? This is a fascinating story because it has been mythologised almost out of all recognition with reality. The traditional view is that Galileo proved that the earth went around the sun. The Vatican theologians thought this was impossible because of the way they interpreted the Bible so they tried Galileo for heresy. But the truth is much more subtle than that. 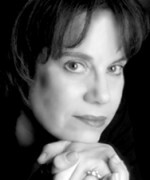 It is much more intrigue-led and much more about power struggles and the nature of power. Essentially, what Galileo’s observation was missing was that killer piece of evidence that the earth moves. He thought he had it in the tides. He thought the tides were the inertia of the ocean as the earth rushed through space. And the Vatican priests were open to talking about this and they were always open to reinterpreting the Bible so long as you could prove what you were saying. But no one would stand up for Galileo and say, “Yes, we believe the tides prove it as well.” And in fact they don’t. Galileo was mistaken and he was wrong. Despite being wrong he still remains a massively important figure in astronomy. Astronomy is fascinating in the way that it makes heroes of people who make discoveries. There are unexpected moments in which things can change completely. You suddenly get a deluge of new information. What is interesting is that some of these great figures were actually helped by people who don’t retain the same place in history, despite their quite considerable contribution to science. This is another of the reasons why I decided to write the Labyrinth novels because I could look at the context around what was going on. I could bring in these secondary characters who explain what was going on and, as you say, were very important in their own right. 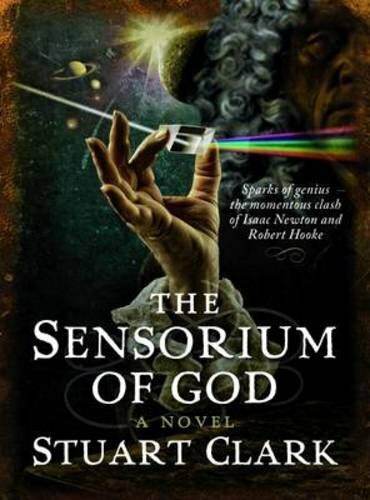 Your latest book, The Sensorium of God, the second in the trilogy, discusses the work of the mathematician Robert Hooke and the astronomer Edmond Halley who were instrumental in helping Isaac Newton with his work. 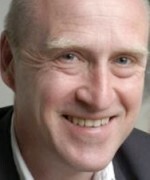 You are absolutely right – the way Hooke and Halley worked and what they did was essential. You couldn’t really have Newton without Hooke. Hooke helped with some of the experimentation of the ideas and some of the concepts. But also, on a personal level, he was a great sparring partner for Newton. The animosity between those two was like a cattle-prod to Newton. Newton would almost certainly have remained a reclusive alchemist in Cambridge if it hadn’t been for Hooke, and later Halley, asking him for help and wanting to publish his work. Let’s move on to some other colourful characters in astronomy. Lonely Hearts of the Cosmos by Dennis Overbye looks at the lives of a group of scientists in their quest to understand the universe. This book is utterly fascinating. It is a massively ambitious book. 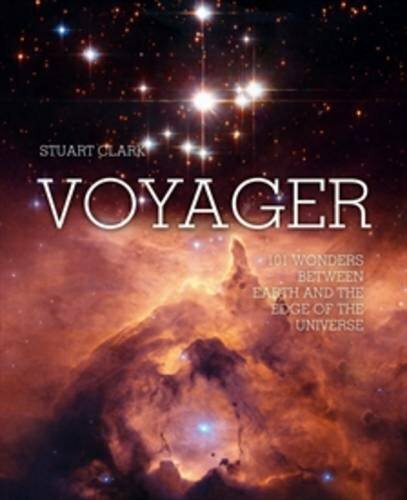 It is a description of the way cosmology progressed through the 20th century through the eyes and through the stories of the people who made the advances and worked in this subject. It almost reads like a soap opera and I mean that in a good way. I used to be an astronomer and I felt like I was completely back in that environment. Overbye caught what happened in astronomy, the way that advances are made, the way that feuds develop and how problems are solved. When you read the history of science you sometimes get the impression that it is a series of logical progressions and that astronomers are a directed force. But no, they are more like drunks lurching around. What kinds of things are the scientists quarrelling about? They are quarrelling about our understanding of the universe in general. One of the running themes of the book is about the scale of the universe. In the late 1920s it was discovered that the whole universe is expanding. I am not talking about the stars that we see in the night sky but the isolated collections of stars. These are the galaxies that are hugely, widely separated in space. The space between them is just expanding. It is just something that the universe does. You have these two camps of scientists who differ about how to measure the size of that space. Exactly, and it is almost like a matter of life and death to them. Is the universe the long scale universe or the short scale universe? In the end it was somewhere in between. That is the irony of the whole thing. By the time you have done as precise measurements as you can then it actually turns out to be virtually the average of the two together. Interestingly, now we have our own problems with trying to go further and trying to understand more. It looks more complicated than perhaps we thought it was 15 years ago. 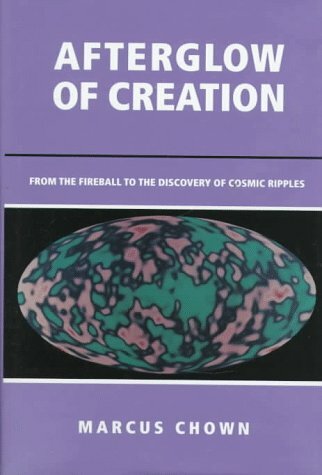 Your next book, Afterglow of Creation by Marcus Chown takes us right back to the Big Bang. When I first read this book I loved the easy nature of the way it was written. Again, it was another story of discovery. 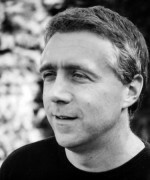 The microwave background to radiation is, as Marcus Chown calls it, the “afterglow” of creation. It is the remaining radiation from the Big Bang, the creation of the universe. The most astonishing thing to me is that this microwave glow was predicted by theory. It was searched for and found. So I think it is the greatest scientific discovery of the 20th century. It comes from a number of scientists working and building on the work of each other. Ultimately it derives from a Belgium priest called Georges Lemaître who was a contemporary of Einstein and a fantastic mathematician. He discovered that the expansion of the universe was hard written into the Laws of Relativity. Nobody really believed him. He is not even that well remembered and yet he predicted this expanding universe before Edward Hubble, the American astronomer, discovered it. Lemaître realised that if the universe was expanding it must have been smaller in the past. And he found in the mathematics of Relativity a moment of beginning of space and time. That concept of a beginning to space and time was taken up later by a physicist called George Gamow, and he used it to predict the microwave background radiation. Then there were two radio engineers who actually found it serendipitously. They didn’t know anything about the prediction. They were just trying to clean off an old radio horn. They thought, let’s see if we can use it for some of this new-fangled radio astronomy, and they got the signal straight away. Marcus Chown’s book mentions Lemaître but is really the story of Gamow and those engineers, how these different characters came together to understand what they were looking at and how ultimately it became a Nobel prize-winning discovery. Did Hubble know about Lemaître and build on his work? They met in 1925 and there is at least one picture that exists of them together. But Hubble doesn’t mention the priest in his work. George Lemaître is in fact one of the key characters in my third Labyrinth novel. Whilst I am not a religious person, one of the other things that I find very interesting about him is the work he put into separating science from religion. He even had an audience with the Pope in the 1950s to explain to him why there was no conflict between the two institutions. How did he think that could be done? It relies on this idea of the hidden God. If you are looking for evidence of God he turns up in mysterious places. What Lemaître said is that he had discovered that there was a beginning to space and time. And he didn’t think that God was responsible for that beginning? He thought that it was an outworking of God but it was not the biblical creation. That came before the beginning of space and time, and so forever separated God from scientific enquiry. 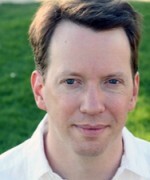 He argued that science relies on measurements and whenever you measure something, you locate it in space and time. Any measurement you can think of will do that. So science can only work once there is space and time. If God is omnipotent he can work outside the realms of space and time. He is therefore capable of existing before space and time. So whatever the genesis of the universe is, space and time don’t need that instant of creation. They can come along a little bit afterwards. But if God is supposed to be omnipotent, you would think he would be in charge of space and time. He is, but once he sets it going, he doesn’t need to interfere further. This was a totally different belief from Newton, who thought that space and time were virtually God’s sense. 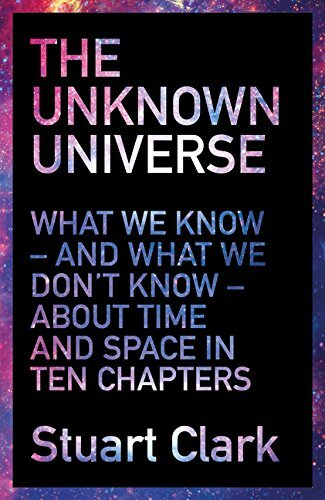 Newton called the universe “the sensorium of God”, which is where the title of my latest book comes from. Lemaître argued that God brought space and time into existence after the Genesis and so you can’t equate the Big Bang with the biblical creation. Since God exists outside space and time, science can never prove or disprove him. That was the underpinning of how he separated science from religion, which was always a problem from Galileo onwards. Are the two things at war? Could you prove God as Newton thought you could or should the two things be kept apart? 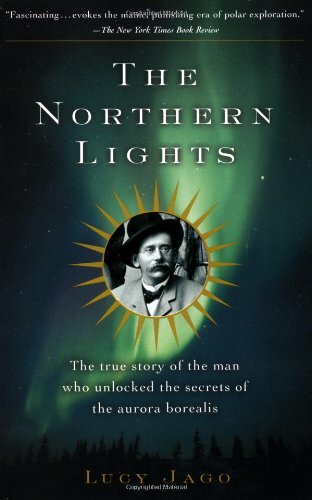 Finally you have chosen Northern Lights by Lucy Jago, which is about the Norwegian scientist Kristian Birkeland. When I came across this book, I was already working on one about the Northern Lights and the solar storms that create them. My book The Sun Kings has almost become a bit of a prequel to Lucy Jago’s book. One of the things I loved about this whole subject was this dawning of understanding that the earth itself is not an isolated island in space. We are intimately connected with the processes that are going on in the solar system and even the universe. One of the most obvious ways that the connection manifests itself is through the Northern Lights. Whenever we see these lights in the sky we understand that it is because of colossal explosions on the sun and huge storm particles that are coming through space. I love the way that Birkeland was almost obsessive about trying to understand that and trying to see the bigger picture. But, sadly, he became a rather tragic figure because he died in uncertain circumstances in a hotel in Japan. And he is not triumphant in his science. He is remembered in retrospect. He never ever felt as if he had achieved something. He never had a sense of personal achievement. I mentioned earlier how many people finding grappling with big scientific concepts a struggle. Your Labyrinth series is an attempt to help people put science into perspective by anchoring it in the daily lives of scientists. This was a bit of an experiment – having novels with science in them. I was interested in trying to tell the history of astronomy in a way that was not fully exhaustive. I wanted to pick out the key turning points and not bog people down with minutiae. If you only needed to know three things about the history of astronomy what should they be? I decided on understanding gravity. Every time we took a new leap in our understanding of movement and gravity so a whole new universe seemed to open up for us. The key figures associated with that are Galileo, Newton and Einstein. As I started to look into their stories I realised that these great moments of revolution in science also took place at tempestuous times in history as well – in the run up to the Thirty Years War for Galileo, in the Restoration and the collapse of absolute monarchy for Newton and then World War I for Einstein. In all three of these times the world order was changing and people were primed for new ways of thinking to make progress. The more I researched I realised that you didn’t need very much to make them into terrific novels. They had drama, not just from the science and drive and determination of the people to achieve something against improbable odds, but there were also vast social landscapes that these people existed in and great family dramas that were going on as well. 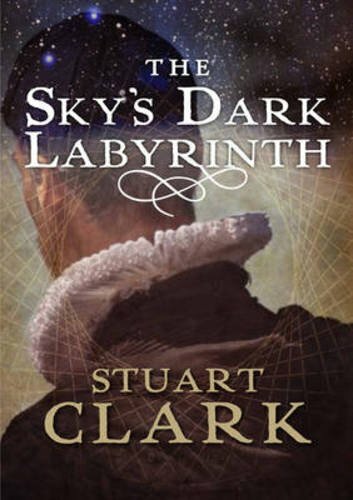 For example, Johannes Kepler in The Sky’s Dark Labyrinth is a man trying to have a family life as well as being a Protestant mathematician in Catholic lands. And as a result he is constantly being hounded out of cities. 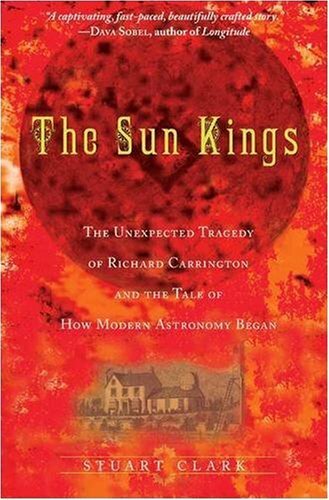 The reviews of my first book, The Sun Kings, were talking about the narrative structure of it, which made me realise that it is a good idea to allow people to find out about science through novels. I have always wanted to write fiction so this was a good way to do it.